With 5G getting closer to becoming a reality, operators have now started to explore the advanced capabilities of its ultra-high bandwidth and extremely low latency. Volumetric display – also known as 3D-holographs – is one example of an application that can only be carried over a 5G mobile network. With potential applications for medical imaging, video conferencing and gaming, 3D holographic communication requiring about four times as much data as a streamed 4K video, 5G technology will be needed to support such applications on a mobile network. In a recent demonstration, Ericsson and Vodafone Germany teamed up to power a live holographic interview combining 5G and connected transport. During the interview with a German newspaper, Vodafone Germany’s CEO, Hannes Ametsreiter, appeared as a hologram in a moving, electrical minibus. In real life, Ametsreiter was at the company’s Düsseldorf lab, some 70 km away. The demonstration used Vodafone’s 5G test license on 3.5 GHz spectrum and was supported by Ericsson’s 5G radio and Cloud Core solutions. A similar demonstration was conducted by Vodafone Ireland and Ericsson during the launch of the service provider’s first live 5G network site. As part of the launch, Vodafone Ireland’s CEO, Anne O’Leary, participated in Ireland’s first international holographic call. 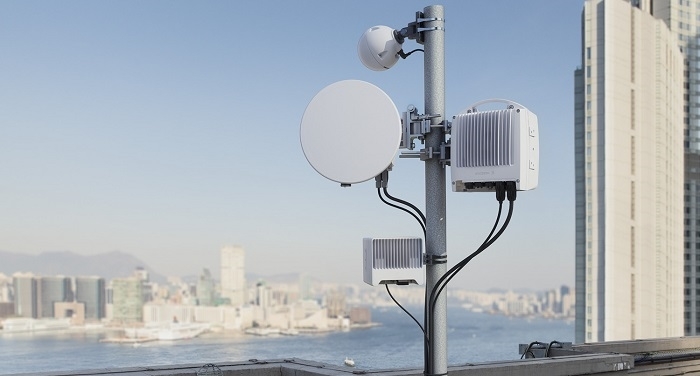 Ericsson again supplied the 5G solution to power the call. Yet another European operator, COSMOTE in Greece, took the concept one step further and demonstrated a holographic music concert in which band members in different physical locations were ‘holoported’ on stage and were able to play together, in real time, as one band. The demonstration was conducted during the InfoCom World Conference, in Athens, Greece and used special cameras capable of capturing in-depth information to create a 3D representation of a live person. The latency needed for this kind of application is about is one-tenth of the current 4G technology. In Greece, Ericsson provided the 5G trial system which operated on millimeter wave spectrum capable of reaching upwards of 7 Gbps.